and @Observer mentioned cheap LED lights by a brand called Arlec. And one over my right shoulder on my camera tripod, pointing down towards my palette. Man, these things are bright. I honestly don't know how I could see anything with my previous set-up. They also seem colour-accurate. 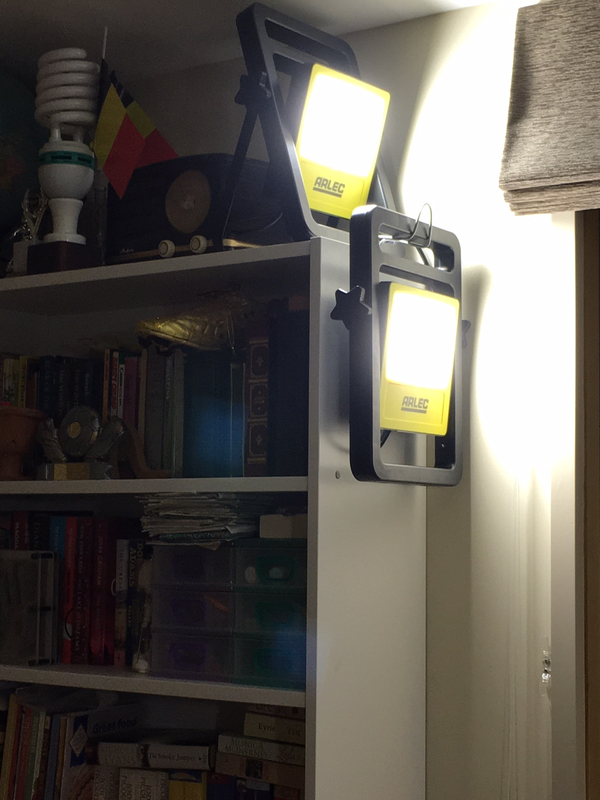 I could not see any colour shifts between these and my previous high accuracy colour bulb (95% CRI). As a rough test I also took a photo of a neutral grey card (the kind that photographers use to set white balance). 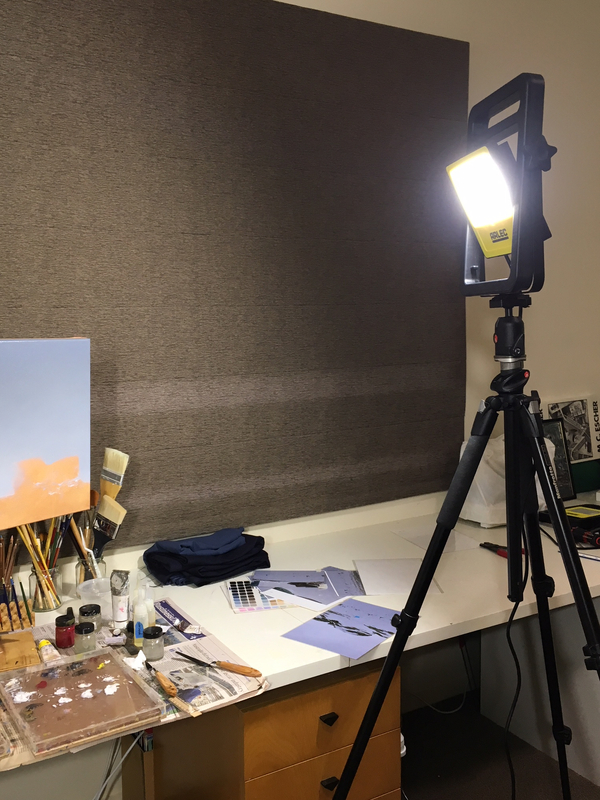 The first histogram below is from a photo of the card on my easel illuminated with these lights. 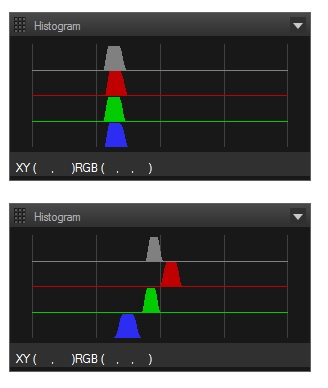 The red, blue and green channels all line up indicating the lights are more or less unbiased. The second is the same setup but illuminated with the warm-ish ceiling light - showing as expected a shift to the red . These are cool running, cheap to buy (at least relatively), cheap to run, and accurate. Gotta love new technology. Not sure if they are available outside of NZ/AUS, but I suspect there are other equivalents. Oh yeah, they are designed to be worklights for tradespeople. Thanks again @dencal ; & @Observer ; for the tip-off. Brilliant! This setup will produce 6,300 lumens and about 1000 lux from the work surface. That is the level recommended for detail workshop spaces specified by architects and lighting designers. That's great, @Roxy - glad somebody found that useful!